Web development is changing every minute and 2018 will be no different. User expectations are growing and it is more important than ever to build digital experiences that are engaging, fun, and intuitive. Content needs to be accessible everywhere, in real-time, and, of course, on mobile devices. 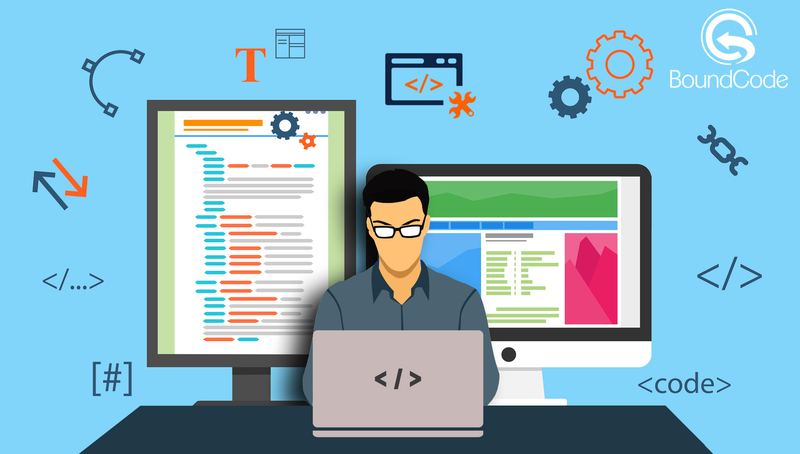 In order to make that happen, new programming languages and frameworks are on the rise which are becoming more compatible, and real time web apps are becoming more popular. Real-Time Web Apps are in vogue: Real time web apps, based on websockets, have been around for years, but they are getting more and more popular with starting of 2018. Web apps like Node.js are also getting acceptability in other languages as well. Ruby on Rails framework work well with most servers and is an apt app for real-time web communication. The reason behind this is users want fast interactions and real time web apps are delivering on the need to share information instantly. Progressive Web Apps: Progressive web apps are web apps with the functionality and design of mobile apps. This application emulates the users as if working on mobile and gives them familiar feel. It helps the site to come on the home screen; it works at reliable speed and enhances engagement with the people on the net.While the question has long been: How can we emulate web content for mobile – it is now the other way round. Web applications are trying to emulate what is working on mobile to give their (mobile) users a familiar touch and feel. Mobile Web Development is Must: With mobile traffic increasing every day, responsive websites have become obligatory in the last years. In 2018, it is time to really master mobile development. The question is no longer: Does our website work on mobile? It is: How does it work on mobile best? 80% of internet users own a smartphone and they are using it. In fact, the average time spent on mobile devices is steadily increasing and has gone up to over 5 hours per day, according to TechCrunch.Mastering mobile web development and understanding how content can be best consumed on smaller devices will be a key challenge in 2018. Chatbots: From last few years, Chatbots are getting quite popular. Increasing popularity of chatbot make chatbot must require factor of website in 2018.This technology offers users to interact with it over a website on a continuous basis. Chatbots serve as a part of web development and are opt for communication purposes too.